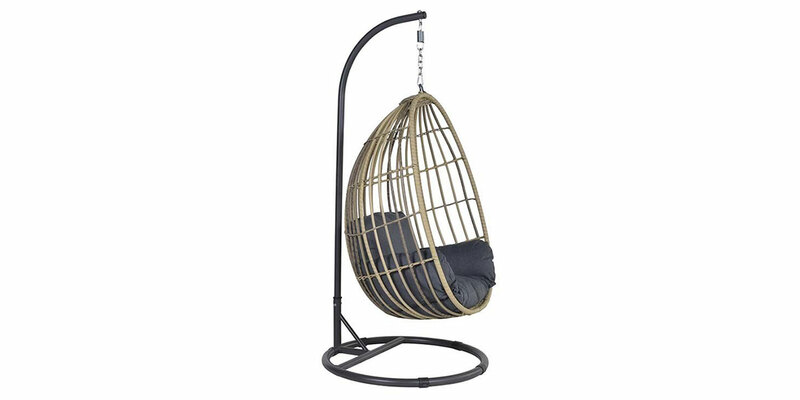 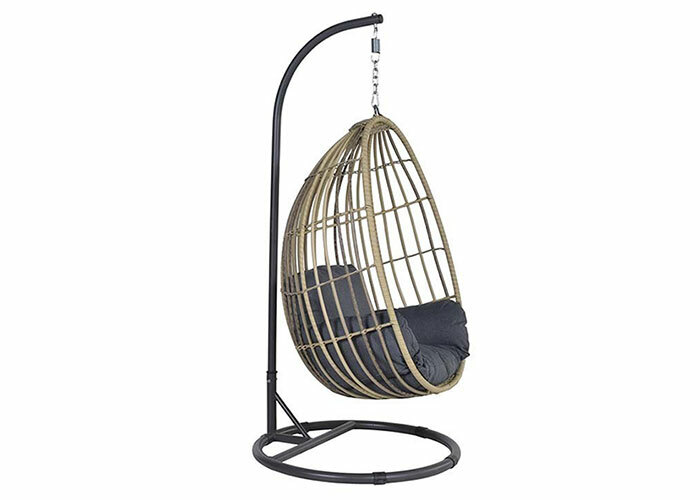 The Panama outdoor hanging chair is composed of a sturdy steel frame providing a stable hanging construction covered with a grey powder coating. 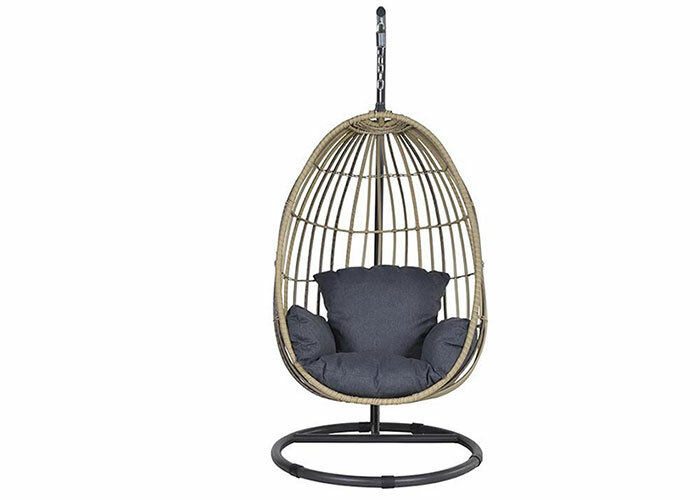 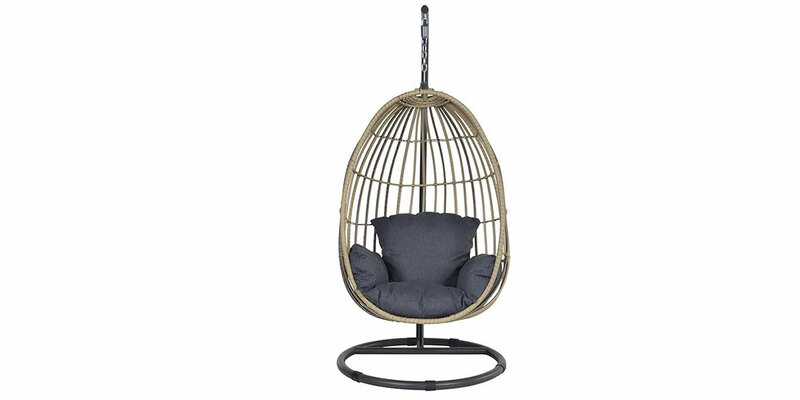 This outdoor egg shaped hanging hair is made of aluminum with natural rattan wicker around it. 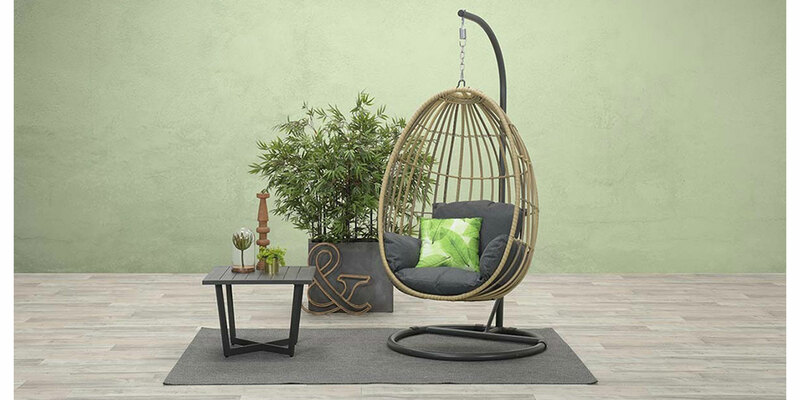 This outdoor element comes with a thick comfortable lounge cushion. 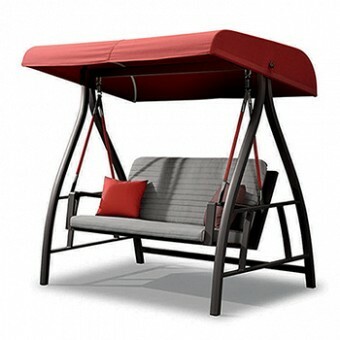 Make sure to store this cushion indoors as it is not water resistant.